I saw this awesome video tutorial on how to paint plates. What caught my eye are the colorful designs. 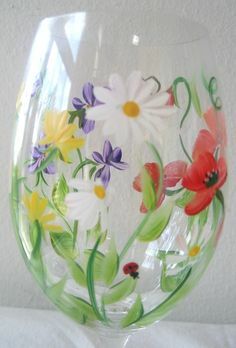 I’ve seen painted plates and stemware before and thought they were beautiful and had an interest in doing some of my own but didn’t know what paint to use or how to actually go about the process. This video told me all I needed to know. I think this might be a great mothers day project for my daycare kids also! Here is also links to amazon for the items used or close to the ones being used in the video and other supplies like brushes and alcohol wipes. Next To Glitter or Not to Glitter–Hmmm. Thank you Carol for providing not only a Materials list but a link to easily obtain.